Based in Cincinnati, Ohio, Genesis Web Studio is a leading full service web design, web development, branding and social media marketing firm which specializes in interactive media, responsive website design and marketing. Offering a range of services for every budget, our clients include everyone from small businesses to larger corporations. We help our clients define their target audience, then we create a call to action for our clients’ websites, while providing analytics for tracking both current and future success. No matter what city or state your business calls home, we’ve incorporated a state-of-the-art virtual office system of interaction that allows us to communicate with you as if we were in the same room. By utilizing today’s advanced technology in communications, we’re able to work seamlessly on any project to personally provide our full range of services from registering a domain name, Cincinnati web design & development, web hosting and email services to search engine optimization (SEO) and social media marketing. 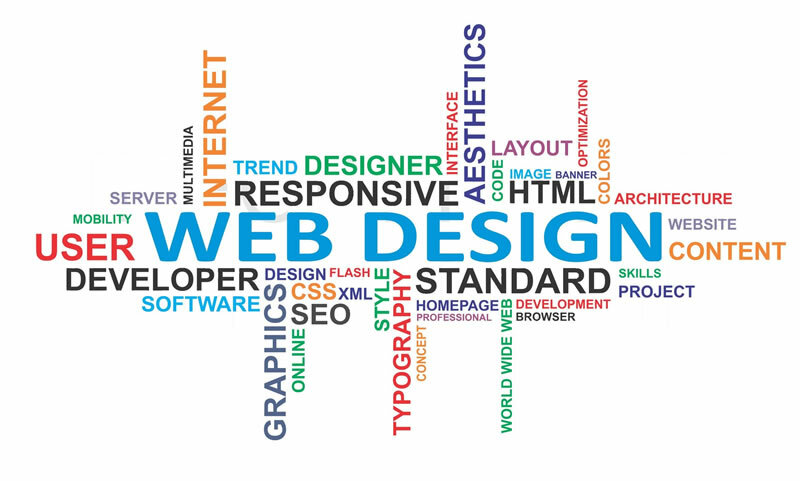 At Genesis Web Studio, you can expect a straightforward approach to your project and budget. All of our projects are researched and proposed individually based on your needs. So whatever the project, from responsive website design, branding, hosting, SEO, ongoing marketing, maintenance and support, and whether they’re in Ohio or half way around the country, we’re always able to successfully meet and fulfill our client’s expectations. The content management system we favor for most small business web sites is WordPress. We can create, and have created systems custom designed and developed for clients where their needs required something more customized and/ or advanced. Don’t worry, you do not need to know anything about any of these technologies for us to create a project for your business or organization. Leave the “tech” stuff to us! How do I get more information or started on a project? We don’t have long forms to fill out like other companies, just send us an email to contact us and we will get back with you personally! We prefer to be more personable. First things first! Find a domain name. Okay, so you want a website. Awesome! First you will need a domain name (yourdomainname.com). Hey, we sell those! Click below to get started. Ok, I have a domain name registered already. Now what? Once you’ve registered a domain name either with us or another registrar, you are ready to begin the process of creating, hosting, and marketing your website to the world. Ready to get started? Begin by filling out our Web Design Brief! I have a web site, but it's outdated. Can you help? Absolutely! You have asked a very common question, one that we hear often. Many websites have been online for years that were made to simply give a web presence to a business or organization. Most of those were designed by either the owner, or someone the owner knew who was doing it for free or next to nothing. Are you ready to get something from your website? A phone call or a lead… maybe even a sale? Let’s get started by filling out our short Web Design Brief! I have a web site, but I can't or don't know how to update it. What now? First of all, don’t panic. We’ve got this! If you don’t have access or the information required to get to your site files or hosting account, we will send in the “strong arm” to get it done and get your site up-to-date and effective! Hit us up for help. Okay, I've decided I want to work with you. What's next? Great news! With the information from our Web Design Brief and in the initial meeting with new clients, we get the scope of your business or organization and your strategies or goals. We take those strategies and goals and find ways to make the sales of your product or service more successful on your website. Our years of experience in online commerce and marketing allow us to identify situations that you’ll want to take advantage of in the development of your site and we look for every opportunity to provide value and productivity. Take a few moments to fill out our Web Design Brief so we can learn more about you and your organization. We will start off by saying… it’s not free! We plan to be here for a long time and to grow with your business/ organization. In doing so, we need to keep food on the table and a roof over our heads. Every project is different and can range from hundreds to thousands, to tens of thousands of dollars or more. Many times these expenses can be written off in business taxes as advertising, lowering your yearly taxable income just as any other type of traditional marketing would (which by the way… isn’t nearly as effective!). We start every project with a Web Design Brief and a FREE consultation (okay you got me, this seriously costs you nothing)! Let us sit down together, talk on the phone or chat via email or Skype and learn more about your needs, wants and future goals. Then and only then, can we quote you a price for your project. It’s up to you… the ball is in your court. Let’s make something great! Contact us today.